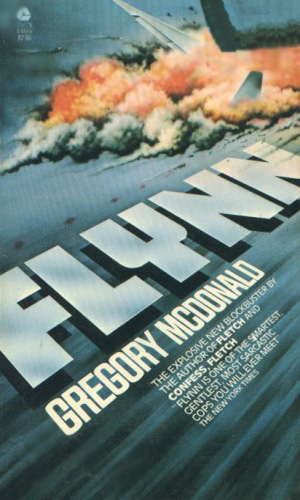 Frances Flynn is an agent for the No Name Agency. It is not unheard of in literary fields for a supporting character in one series to get his or her own series but it isn't common. That is what happened with the Flynn series, though. 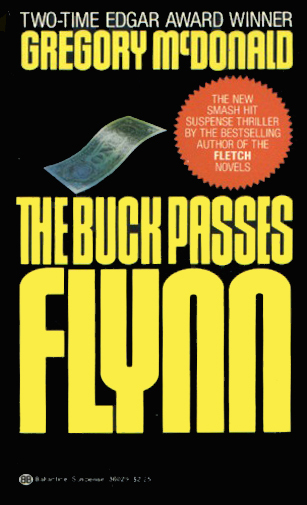 The author made a considerable splash when his first novel, Fletch, won an Edgar award for Best First Novel in 1975. 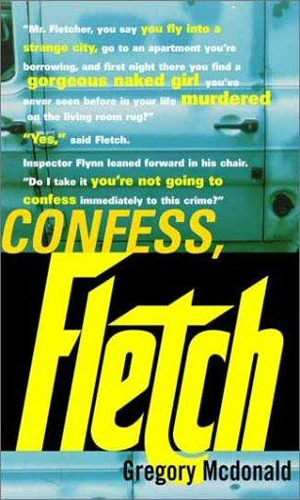 Two years later, his second novel, Confess, Fletch, won another Edgar for Best Original Paperback. That is one heckuva good start to any career but it was made even better when the first book was turned into a highly successful movie in 1985 starring Chevy Chase as the title character. 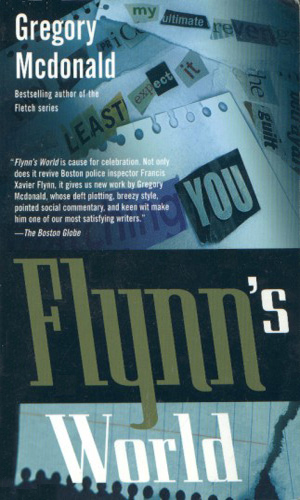 The spy series, Flynn, came out of the second book when Fletch, newly arrived in Boston, encounters a murdered naked woman in his living room. Heading up the investigation is a Boston Inspector named Francis Xavier Flynn. And that is what starts the odd question as to how a comedy mystery series with a cop as a costar would be included in a compendium about spies. 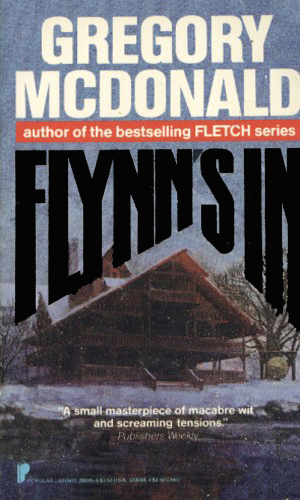 The answer is revealed, slowly, in the first book in the actual series, Flynn, when it is learned that Flynn is technically 'hiding out' in Boston because things had gotten too hot for him in the international scene while working for a highly secret world-wide organization with no name. This agency is so proud of itself anonymity that it refers to itself as the 'No Name' agency and gives each member a codename starting with NN. Its leader, a little person by the name of John Roy Priddy, is NN-Zero while Flynn is NN-13. Exactly how many members there are is never discussed though in the second adventure, an agent named NN-2842. There is little mentioned about the agency, besides its secrecy, except for the fact that it is a 'between the borders' group. Exactly what its purpose is and who is behind it is never considered although at least a good deal of its financing comes from the U.S. government as Priddy must use Flynn in one adventure to 'assassinate' the President to show that powerful man how important N.N. really is. Flynn is masquerading as an Inspector in Boston because too many people around the world, especially those working for an equally enigmatic hostile organization known simply as 'K', would love to get their hands on him to learn what he knows about N.N. To avoid this, he works as a policeman even though he has had no training whatsoever. He does have, however, incredibly good common sense and the ability to listen. While each of the adventures chronicled about Flynn is primarily a mystery, each touches on the international scene enough to more than qualify as a spy novel. Something that makes the Flynn series even more unique among the many spy series listed herein is the fact that this former international man of action is happily married with 5 children who help liven things up with their occasional life problems. There aren't that many married spies roaming about. There aren't any others with so many offspring. * While he is listed as American, which he might well be, he is Irish by birth and grew up in Ireland and in Germany where he apparently assisted his parents in clandestine activities, going so far as to join the Hitler Youth in Berlin. When his parents were murdered, Flynn was forced to exist on the streets dealing with starvation along with persistent bombing. Reporter and scalawag Irwin Fletcher is in Boston when he discovers a naked dead woman. The trouble is she is in his hotel room and the police are less than believing. Leading the investigation is Francis Flynn. Late in the evening, Flynn and several of this children witness from their back yard an explosion in the sky as an 707 airliner is blown apart. As an Inspector, Flynn is asked to represent the Boston PD with the FBI and NTSB investigators. As a member of N.N., he is asked to see how the presence of an Arab Minister of Finance might be involved. Why would someone leave packets of $100,000 on the doorsteps of every residence in a small town in Texas? If it was to get them to leave, it worked. The same result, however, didn't happen when it occurred again in Massachusetts. NN-Zero has Flynn take a leave of absence to find out who is throwing millions away so cavalierly. Though this assignment did not come from his real boss in N.N., it did come from his pseudo leader as the Boston Police Commissioner asks for the help of Flynn to figure out who is killing the members of a secretive, exclusive rod and gun club populated by international movers and shakers. What does the harassment of a once respected Harvard professor have to do with the nailing by the ear of the boyfriend of one of Flynn's daughters have in common? Nothing except they are both the subject of Flynn's interest and the makings of a good story. The adventures of Francis Xavier Flynn are a delight to read. The spy aspect for each is quite on the periphery but that does not take away from the enjoyment of just good storytelling. This large, bear-of-a-man agent with the smallish head and soft voice has a delightful wit and a highly intuitive mind that lets the readers see past false fronts. I liked the Fletch novels. I really liked the Flynn ones. I also loved the relationship that Flynn has with his family. Mentioned before is the uniqueness of an agent having such a large family. Flynn doesn't hide anything from any of them, despite the fact that his true job is so secretive. He may not tell them everything but he never lies and he never talks down to any of them. Also terrific is the relationship he has with his assistant, Sargeant Whelan. Flynn calls him Grover, not because that is his name, which it isn't, but because he likes to call him Grover. And he likes the fact that Whelan doesn't like it. And Flynn likes Grover, ah, Whelan. That the kind of man Flynn is.